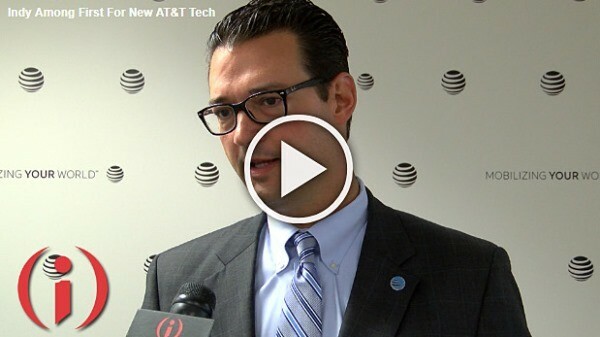 AT&T Indiana President Bill Soards spoke to Inside INdiana Business about the 5G Evolution. Soards has been an integral part of the Indiana Chamber’s Technology & Innovation Council. You likely saw the big news from AT&T last week touting 5G service coming to central Indiana. What you might not know is that the Indiana Chamber played a significant role in making that important advancement possible. This legislation clears the way for a shift in Indiana’s mobile broadband connectivity to the next generation of technology and will enable a more rapid rollout in communities across the state. We lobbied hard for Senate Bill 213 in the Indiana General Assembly and will continue to push for important policies that advance innovation, technology and entrepreneurship in Indiana. The Indiana Chamber achieves victories like this by bringing a wide spectrum of voices and perspectives to our elected representatives. You can help our state go further and do it faster by becoming a member of the Indiana Chamber or increasing your investment if you are already on board. Additionally, please consider taking part in our grassroots efforts to educate state leaders about important public policy issues that impact your organization. This entry was posted in Business News, Chamber News, Technology and tagged 5G, at&t, indiana, soards by Indiana Chamber of Commerce. Bookmark the permalink.